How do we get new CSS? CSS Spec Levels Where is CSS4? The Editor’s Draft The version that spec editors are making changes on. Commits show up right away – things may change! Candidate Recommendation Gathering Implementation Experience. To exit CR Status The specification needs two independent implementations of each feature. Grid Layout Level 1 specification shipped by all major browsers in 2017. Level 1 specification is a Candidate Recommendation. Subgrid Part of CSS Grid Level 2. CSS Grid Level 2 is a Working Draft. gap, row-gap, column-gap Gutters or alleys between items in a layout. Firefox DevTools Tools for designing with CSS. Tell us what you want Talk to the CSS Working Group! Talk to me and I’ll talk to the CSS Working Group. 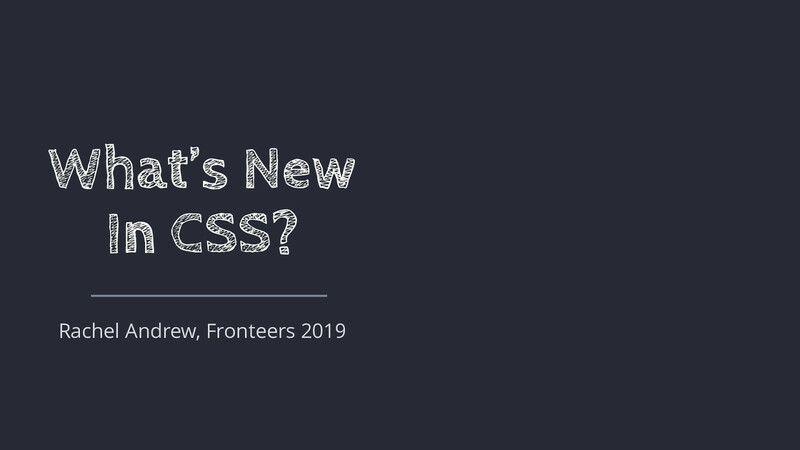 Tell browsers what you want • • • • Raise issues Add new use cases to issues Write and talk about new CSS Use the features! View What's New In CSS? on Notist.